The New Entry step is a feature of the Form Connector extension which provides a way to create new entries in different forms. 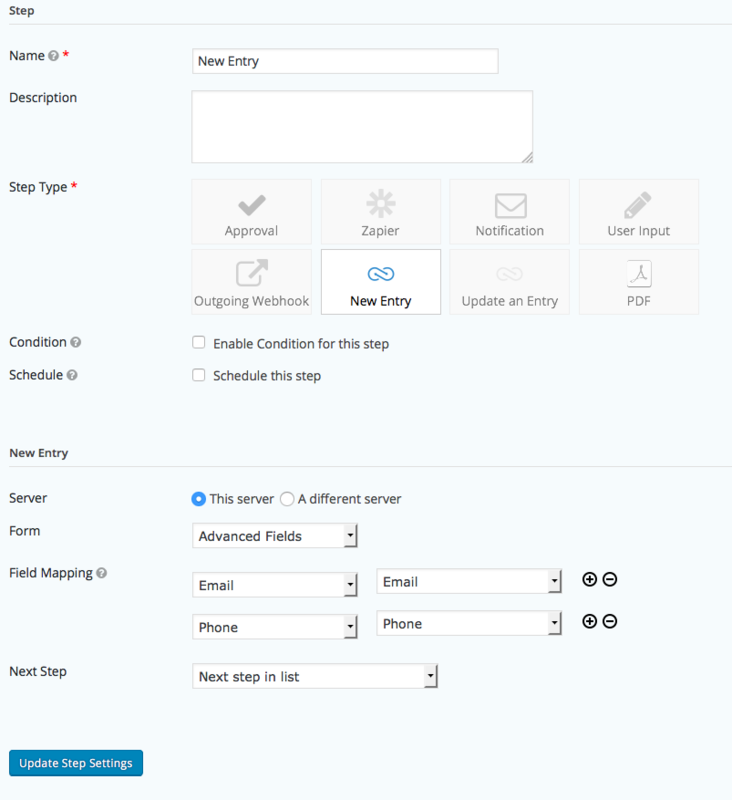 Add a "New Entry" step, configure the standard step settings and select your target form. Use the Field Mapping to configure the values that will be in the new entry. Map a field from the list of target fields on the left to a source field on the right. When this step is processed the entry values contained in the mapped fields will be used to create a new entry for the target form. To create an entry for a form on a different server, select "a different server" in the server setting, enter the Gravity Forms Web API details. Once you've saved the credentials the process for remote forms is the same as above for local forms.